Small Justice LLC v. Xcentric Ventures, LLC (1st Cir. Oct. 11, 2017). Plaintiffs Richard Goren, a Massachusetts attorney, his company Small Justice LLC, and Christian DuPont had sued defendants Xcentric Ventures, LLC and Ripoff Report.com for copyright infringement, libel, interference with a contract, and violation of Massachusetts’ unfair competition statute. Goren had represented DuPont in an unrelated matter; DuPont had subsequently authored two reports critical of Goren and posted them to Ripoff Report, a “consumer protection” website owned by Xcentric that allows users to post complaints about companies or individuals. As part of the posting process, the user grants Ripoff Report an irrevocable exclusive license to the copyright, and further warns users that, once posted, the post will not be taken down even at the request of the poster. When DuPont failed to appear in the libel suit that resulted, Goren was granted an injunction prohibiting DuPont from publishing the reports, and was awarded ownership of the copyright of the reports. He then filed the suit that is the subject of this appeal, seeking the enjoin Ripoff Report from continuing to post the complaints and to require them to take all actions necessary to have cached versions and links removed from Bing, Google, and Yahoo. Xcentric moved to dismiss the complaint, which Judge Casper granted in part. Specifically, Judge Casper dismissed the libel, tortious interference, and parts of the unfair competition counts as blocked by the Communications Decency Act, 47 U.S.C. § 230, which shields interactive computer service providers from liability for information provided by another content provider. The court rejected Goren’s argument that, by holding itself out as the copyright holder and by having “directed” internet search engines to list the postings, Ripoff Report itself became the information provider. Following discovery, Judge Casper granted Xcentric summary judgment on the remaining copyright and Ch. 93A claims, finding the “browsewrap” license conclusive on the copyright claims. Judge Casper modified the judgment to find that the browsewrap license failed to meet the requirements of transferring an exclusive copyright license, and that only an irrevocable non-exclusive license had been granted; this distinction did not, however, change the outcome. Finally, Judge Casper awarded $124,000 in fees and costs to Xcentric pursuant to 17 U.S.C. § 505. The First Circuit Court of Appeals reviewed the dismissal of the libel and tortious interference claims de novo and affirmed. The § 230 immunity is to be liberally construed, to prevent deterrence of on-line speech; so construed, Xcentric could not be considered to be “responsible … for the creation” of the information, and immunity would apply. Continuing to apply de novo review, the Court affirmed the copyright decision, rejecting Goren’s argument that the license “contract” failed because no consideration was given to DuPont – while consideration is necessary to support an irrevocable license, actually posting the complaints was sufficient consideration under the circumstances. Notably, the Court determined that it need not decide whether a browsewrap agreement can satisfy the exclusive license writing requirement of 17 U.S.C. § 204, leaving this issue open in the First Circuit. 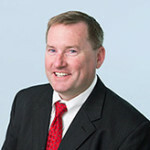 The Court found no fault with Judge Casper’s characterization of the legal and factual basis for plaintiffs’ claims as “at best questionable,” with its noting that Xcentric fought the case for more than two years without the prospect of a damage award, or with its determination that Xcentric prevailed on all counts. Finally, the Court noted that a showing of bad faith on the plaintiffs’ part is not a requirement for a fee award pursuant to the statute. The fee award was thus affirmed as well. Author dmassiplitigationPosted on October 17, 2017 Categories Appeal, Attorneys' Fees, Copyright, Motion to Dismiss, Summary JudgmentLeave a comment on Small Justice LLC v. Xcentric Ventures, LLC (1st Cir. Oct. 11, 2017). Philpot v. Kinder et al. (17-cv-11991). Larry Philpot, a professional concert and event photographer from Indiana, sued Encore Unlimited, Inc., Printed Guitar Picks Limited, and numerous individuals for copyright infringement. Philpot alleges the defendants uploaded photographs he had taken of Carlos Santana, Neil Young, and Kid Rock, printing them on guitar picks, and advertising and selling them through their own websites as well as on Ebay. He seeks liability for reproduction and public display, as well as for unfair and deceptive trade practices under M.G.L. Ch. 93A. Philpot further alleges that the copyright infringement was willful, based (solely, it appears) on his allegation that the defendants tried to hide their identities by registering their domains under aliases. A review of one of the defendant’s websites (www.printedguitarpicks.com) reveals that the company allows customers to upload pictures to be printed on guitar picks, while also offering stock pictures of various artists; it is unclear from the complaint whether the former or the latter are the subject of the suit. For the latter, the website indicates that all customers submitting photographs warrant that they obtained permission from the copyright holder; it will be interesting to see whether this clause affects the willfulness decision. Author dmassiplitigationPosted on October 16, 2017 Categories Complaint, Copyright, Willful InfringementLeave a comment on Philpot v. Kinder et al. (17-cv-11991). DSI Assignments, LLC v. American Road Products, Inc. et al. (17-cv-11963). DSI Assignments sued American Road Products, Installernet, Inc., Anthony Frangiosa, Stephen Witt, and unknown Does 1-100 for trademark infringement and dilution, false designation of origin, false advertising, unfair competition, breach of contract and fraud in the inducement. DSI brought suit for the benefit of creditors of Pearl Automation, Inc., which made driver assistance technology, including a rear view camera contained in a license plate frame that broadcast the video to a cell phone mounted in the vehicle. DSI alleges that Pearl entered into a sales/distribution agreement with InstallerNet whereby InstallerNet was to purchase Pearl’s entire remaining inventory. InstallerNet’s president, Frangiosa, directed delivery of these products to American Road Products; when questioned about this by Pearl, Frangiosa represented that the two entities were “the same company” and that he owned both entities. Pearl was never paid for the inventory, and subsequently ceased operations. DSI subsequently learned that, during the time that InstallerNet placed its order for the remaining inventory, its registration in Massachusetts as a foreign corporation had been suspended. DSI contends that Frangiola and InstallerNet’s other shareholders (Witt and Does 1-100) are not shielded by the corporate form and are individually liable. DSI further contends that American Road Products is an unfunded sham corporation that was set up for the sole purpose of shielding InstallerNet and its shareholders from liability, and that no such shielding should be allowed. Author dmassiplitigationPosted on October 12, 2017 Categories Complaint, TrademarkLeave a comment on DSI Assignments, LLC v. American Road Products, Inc. et al. (17-cv-11963). Abiomed, Inc v. Maquet Cardiovascular, LLC (16-cv-10914). Abiomed sued Maquet seeking a declaratory judgment that its Impella intracardiac heart pumps do not infringe Maquet’s patents, and Maquet counterclaimed for infringement. Abiomed, believing that Maquet’s parent company, Getinge AB, controls the litigation, moved to compel the deposition of Abraham Roani, Getinge’s General Counsel, on valuation, commercialization, validity and enfoceability of the patents-in-suit. Maquet opposed, arguing that any information Roani has would be protected by the attorney-client privilege and work product doctrine, and Maquet offered a non-attorney alternative witness. Magistrate Judge Boal, noting the red flags that are raised by the noticing of deposition of the opposing party’s attorney, referred to the Shelton test adopted by the Eight Circuit, which requires there be no other means to obtain the sought information, the information be relevant and non-privileged, and the information be crucial to the development of the case. She found that Abiomed had not met the first of these criteria, particularly given the proffer of a non-attorney witness, and denied the motion without prejudice. Maquet fared better with its motion to compel. Abiomed unsuccessfully sought to limit production to documents relating to features of the accused products that are alleged to meet the claim limitations, rather than technical information on all features of the accused products. While Judge Boal compelled production of documents related to the accused products and not just the accused features, she sided with Abiomed that requests seeking all documents “related to” particular topics were overly broad, and limited these requests to the specific examples of types of documents contained in the requests. Finally, Judge Boal required Abiomed to produce technical documents that predate the six-year limitation on damages period set forth in 35 U.S.C. § 286, because such documents go to infringement and not just to damages. Author dmassiplitigationPosted on October 11, 2017 October 30, 2017 Categories discovery, Patent, PrivilegeLeave a comment on Abiomed, Inc v. Maquet Cardiovascular, LLC (16-cv-10914). Purdue Pharma LP et al. v. Collegium Pharmaceutical, Inc. (17-cv-11923). Purdue Pharma sued Collegium for infringement of U.S. Patent Nos. 9,522,919 and 9,073,933, which relate to oxycodone hydrochloride compositions and formulations. The suit is based on Collegium’s submission of a supplemental New Drug Application seeking approval for revised labeling for Collegium’s Xtampza® oxycodone extended release capsules. Purdue has been pursuing claims against Xtampza® for some time now, beginning in March 2015, and most recently on September 21, 2017, as discussed here. Author dmassiplitigationPosted on October 10, 2017 Categories Complaint, PatentLeave a comment on Purdue Pharma LP et al. v. Collegium Pharmaceutical, Inc. (17-cv-11923). Judge Gorton consolidated seven different antitrust actions against Uber for pretrial purposes. Each complaint asserted substantially similar claims and operative facts and involved the same defendants. The main difference in the lawsuits related to alleged violations of local transportation ordinances, and the different cases generally grouped cab companies from individual cities or towns together – I previously commented on the Boston action here. Judge Gorton reserved the question of whether to consolidate the cases for trial. He also set a schedule for Uber’s motion to dismiss, indicating that a decision will issue on the request for dismissal by the end of the year. Author dmassiplitigationPosted on October 10, 2017 Categories Antitrust1 Comment on Malden Transportation, Inc. et al. v. Uber Technologies, Inc. et al. (16-cv-12538).